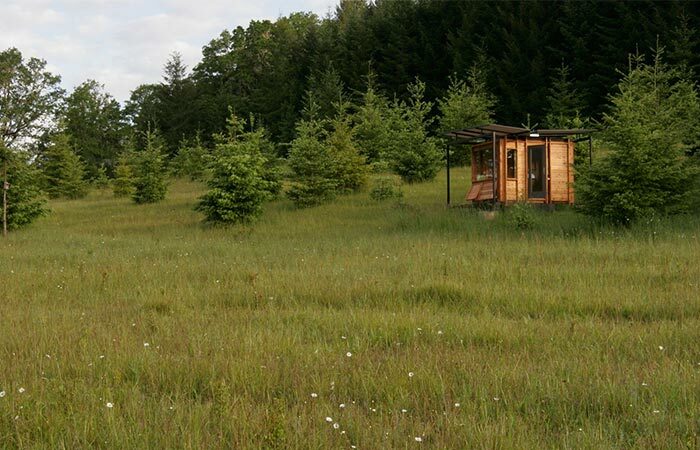 Float Watershed is a small studio in the Willamette Valley, in Oregon. 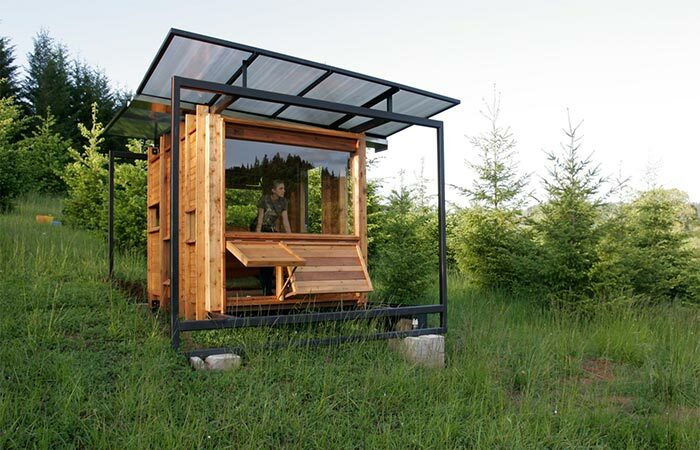 With a 100 square feet, it was designed to be a writing studio for a philosophy professor with a love for nature. She was the one who actively participated in the design, together with her daughter, the designer. It’s both her retreat and a studio that doesn’t disrupt the surrounding nature. As for the location, it’s about 20 minutes from the owner’s home. Float Watershed has many eco-friendly features. Firstly, the studio has small tunnels under it that can gather rare reptiles. There’s the water collection basin for birds and deer. Also, the owner wanted a roof that amplifies rain sounds. 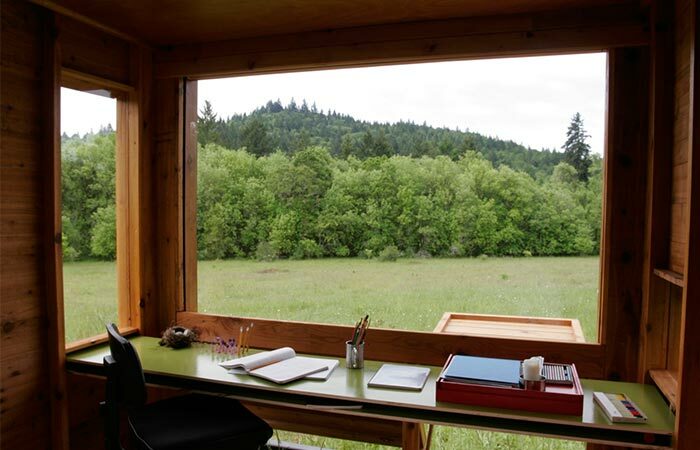 This 100 square feet writing studio is made for a nature lover and philosophy professor. It’s in Willamette Valley, Oregon, 20 minutes away from her home. The construction uses a steel frame, stainless steel bolts and cedar and glass enclosure layer. The entire studio is removable and recyclable. If there’s the need, the wooden elements can be recycled piece-by-piece. Also, the steel frame can be removed, reused or recycled, depending on the situation. The studio is constructed using a steel frame and wooden elements. It was assembled on the site. There were several challenges while constructing Float Watershed. For example, the fact that there was no road access, electricity on site or major excavation. This is why it took three separate stages to finish it. At first, everything was fabricated and later assembled on site. Finally, the interior features a writing desk with a nice view of the surrounding nature. There are also shelves for storing books and large windows that ensure there’s plenty of light. Large windows provide plenty of natural light as well as a great view. The studio is friendly towards animals, giving reptiles and birds shelter and water.